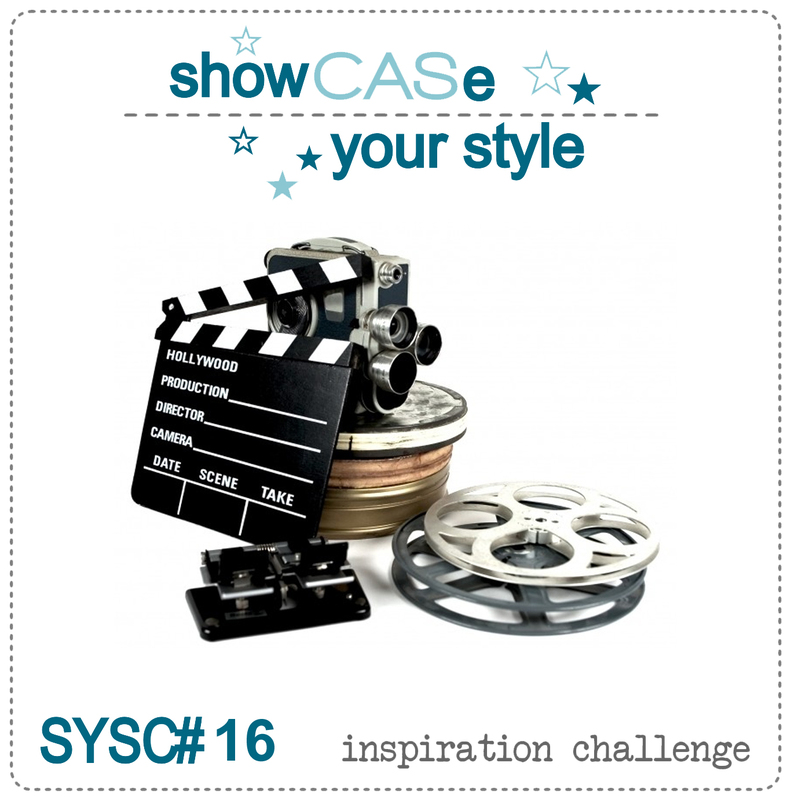 This week we have an inspiration challenge for you. 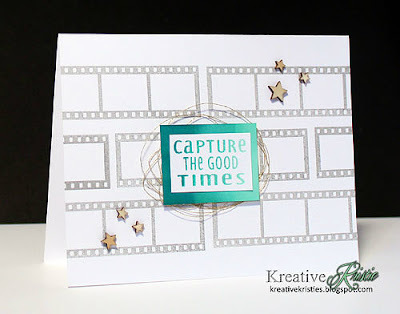 I used the stamp set Say Cheese to stamp the film strips in gray ink on the background. 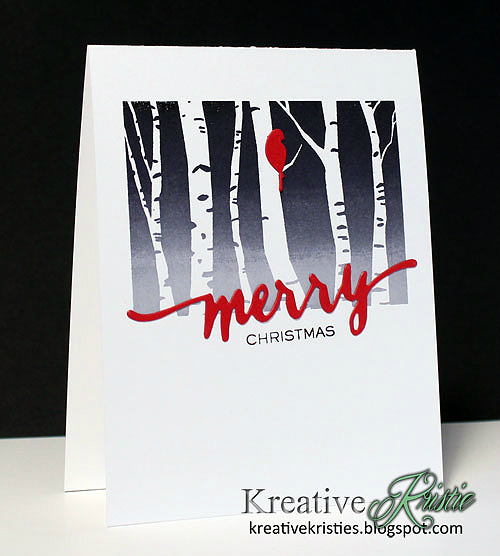 I stamped the sentiment using Ombre inks. 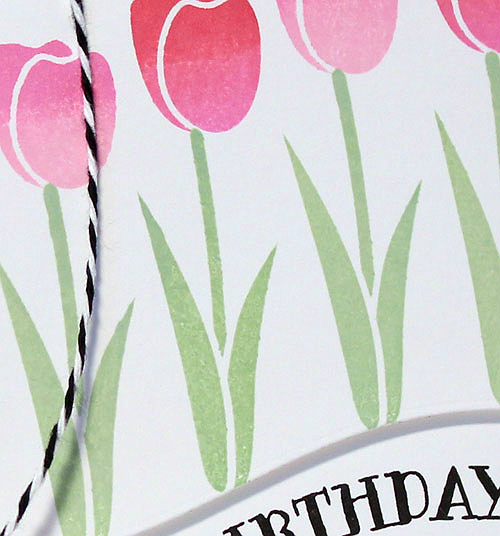 I used the direct to paper technique to create the mat for the sentiment. I added some gold thread behind and wooden stars as accents. 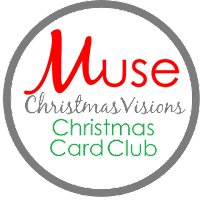 We'd love to see your card inspired by the inspiration! This week's challenge at StampNation is May Flowers! 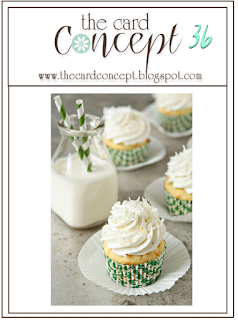 I was inspired by the yummy looking cupcakes and the colors. 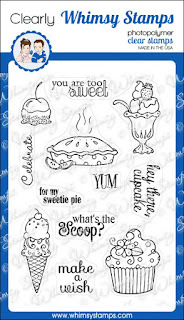 I used the stamp set Yum Yum Yum by Clearly Whimsy Stamps. The cupcake was just perfect. I colored with my Copics added a little strip of black for a little contrast. 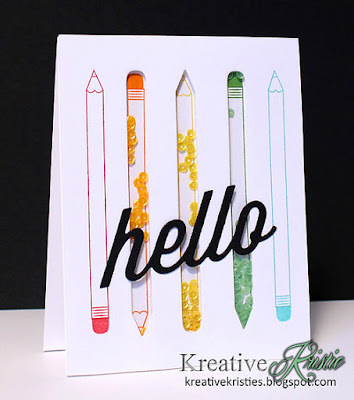 I am happy to be participating in Papertrey Inks May Blog Hop! 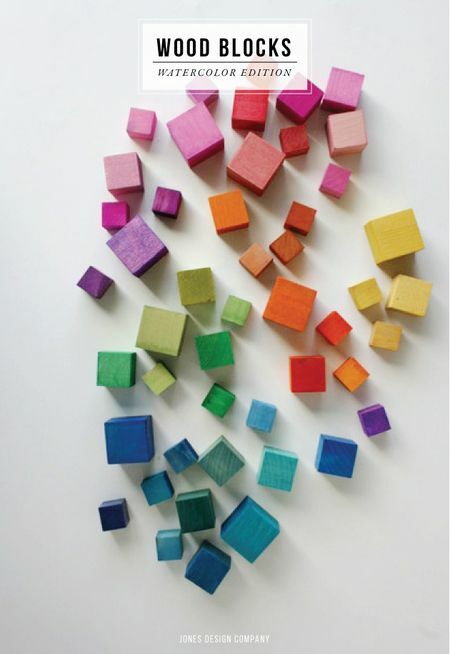 Yep, rainbow colors - my favorite! 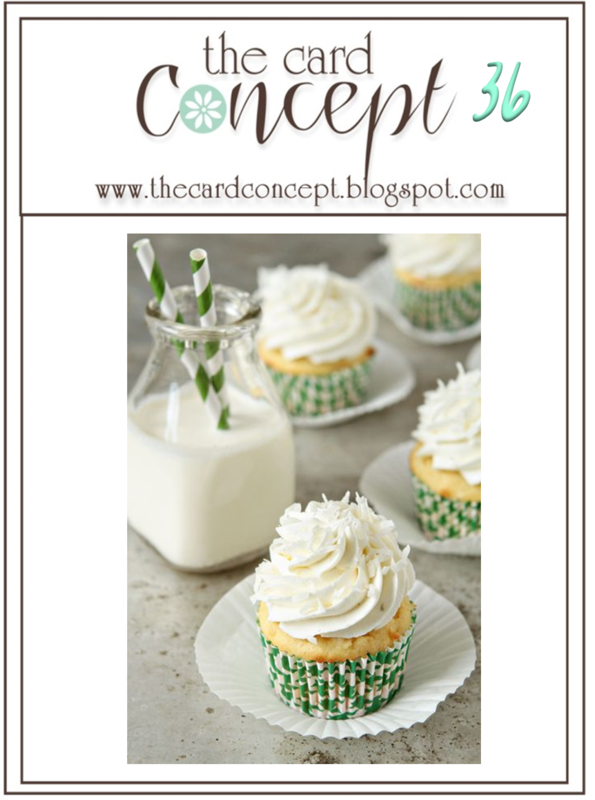 I haven't done a shaker card in a while so thought this was the perfect opportunity. 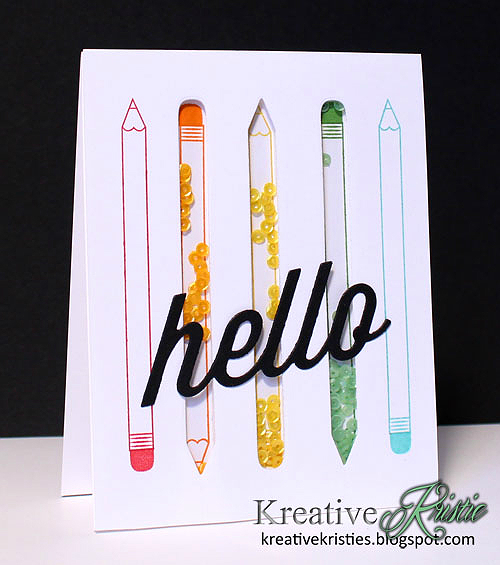 Love this pencil set and how the sequins mimic the blocks in the photo. 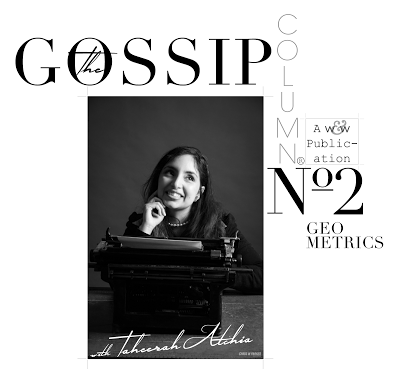 **ETA this over at CAS(E) this Sketch! This week Karren challenges us to create a card with newsprint on it. 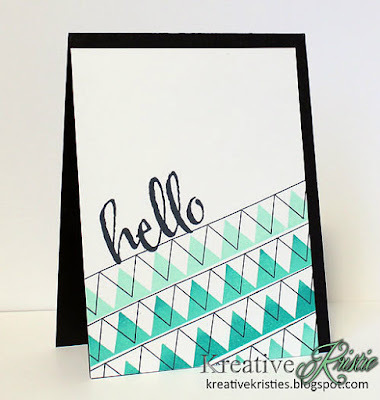 I used some newsprint DSP by Stampin' Up! for my card and Papertrey Ink dies and stamps. 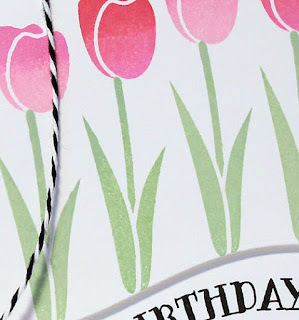 I kept my card pretty simple to let the newsprint take center stage. 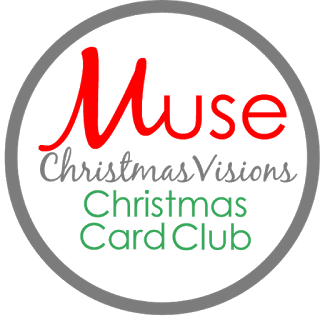 My card for Muse: Christmas Visions 3. The muse this week is Betty Wright. 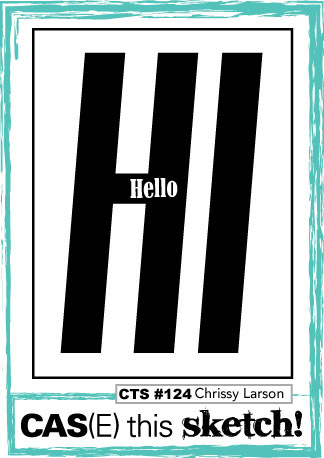 I chose the layout and colors to be inspired by and instead of an oval I used a circle. 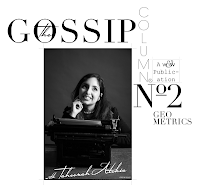 I am popping in real quick with a couple cards for The Gossip Column #2. 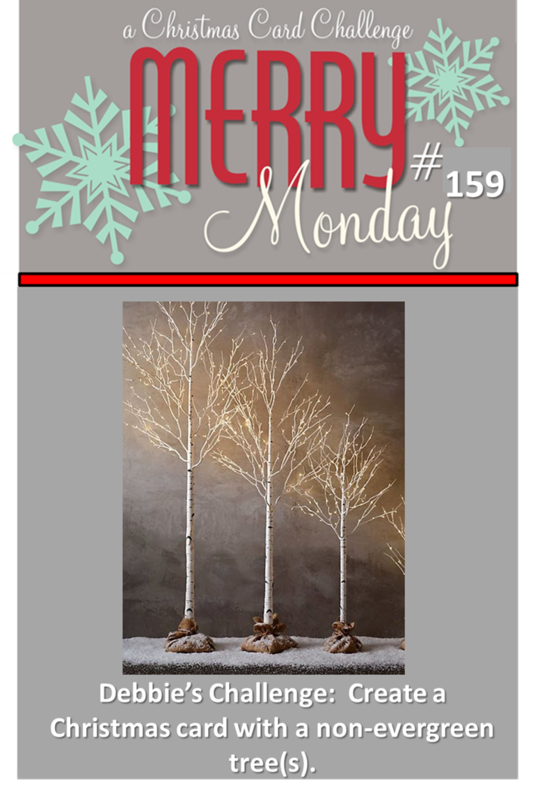 I used Scenery: Rectangled & Triangled by Winnie & Walter to create my focal point. 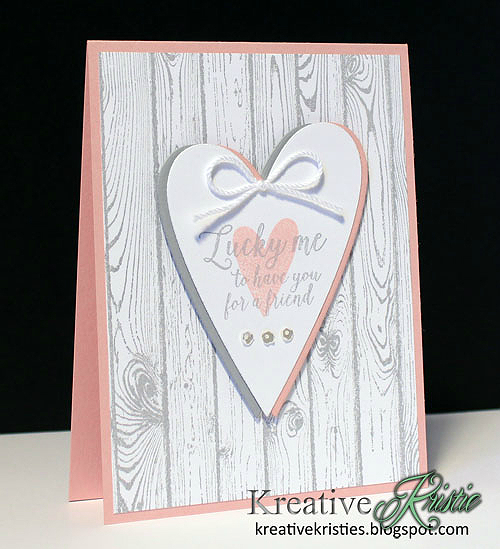 Embossed the sentiment from The Big, the Bold, and the Happy using white embossing powder on pink cardstock. Before you go I want to share a sneak peek of the DT's cards for this week's "Either/Or" challenge at StampNation. We had to chose one item from each category and couldn't use the other on our cards. 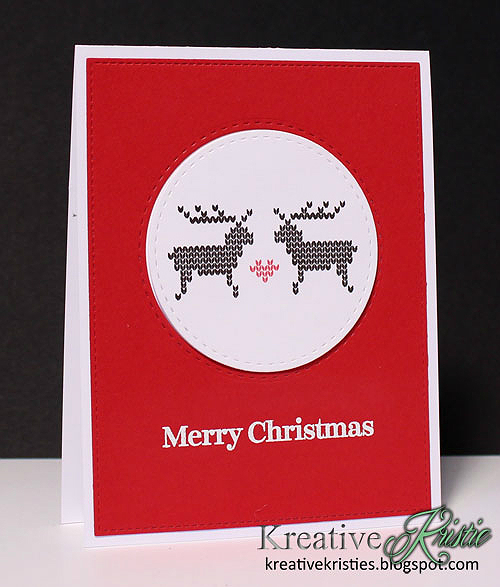 I chose rectangle, sequins, die cut & gold. Any guesses on which one is mine? 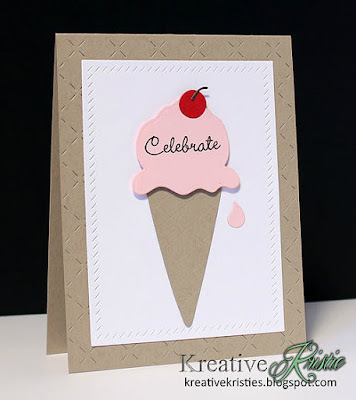 I am sharing a card using the new Ice Cream cone die just release by Clearly Whimsy stamps and the stamp set Yum, Yum, Yum. 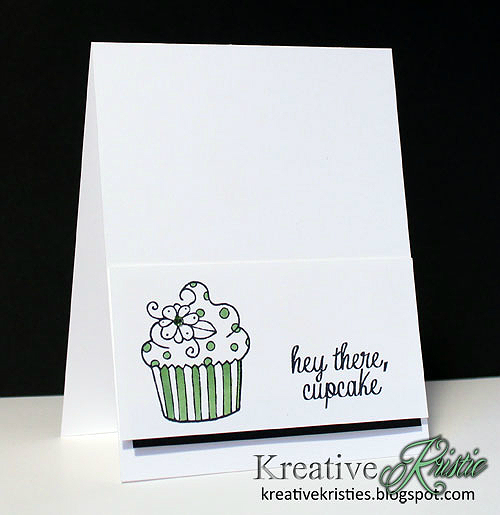 LOVE the cherry on top and the drip that is added in the die set. 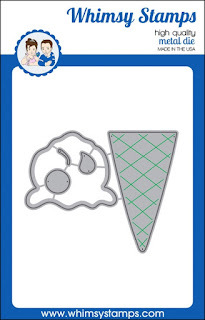 Ice cream is one of my favorite summer time treats. 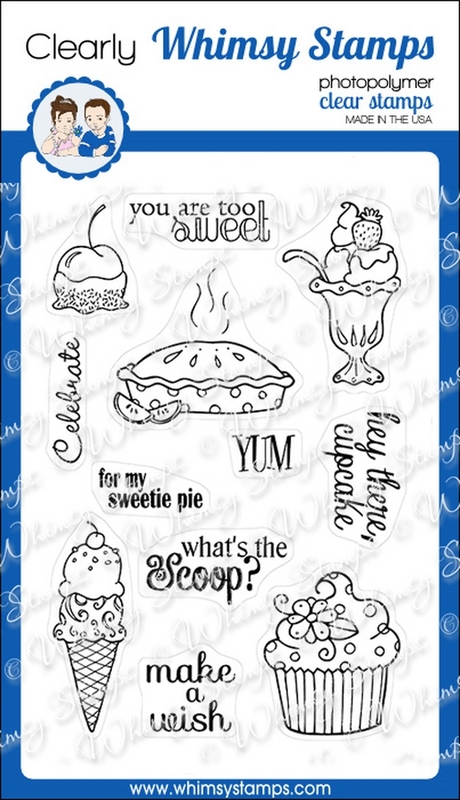 Here's the die and stamp set I used. Essentials by Ellen Pin-Sights Challenge! 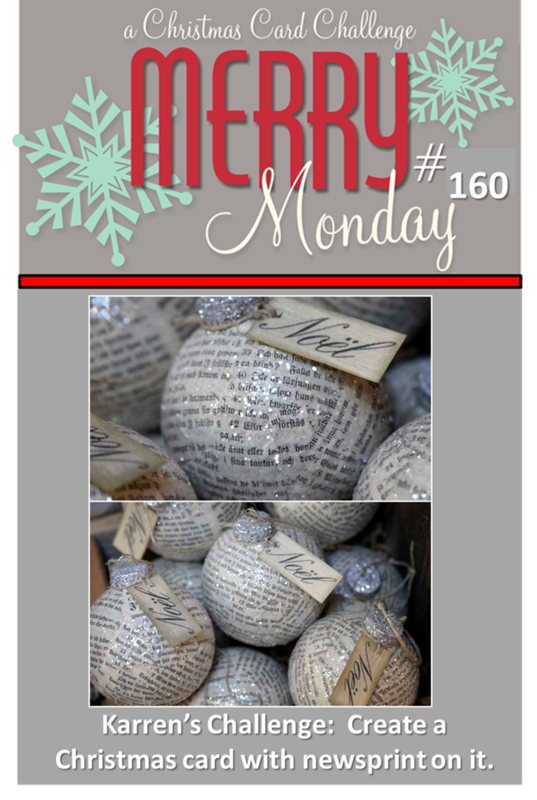 This is a monthly inspirational challenge based on a Pinterest Inspired photo. I love the inspiration photo! I used the gorgeous Folk Heart dies and the Fancy Thanks sentiment! 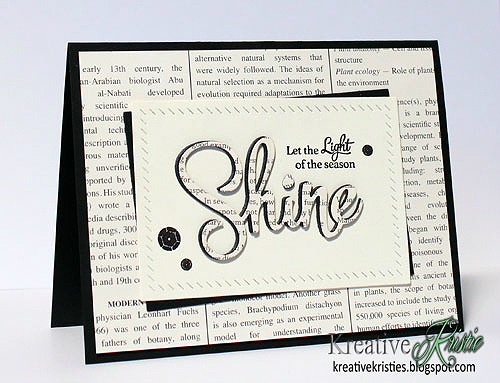 I just LOVE the sentiments and fonts in this set. 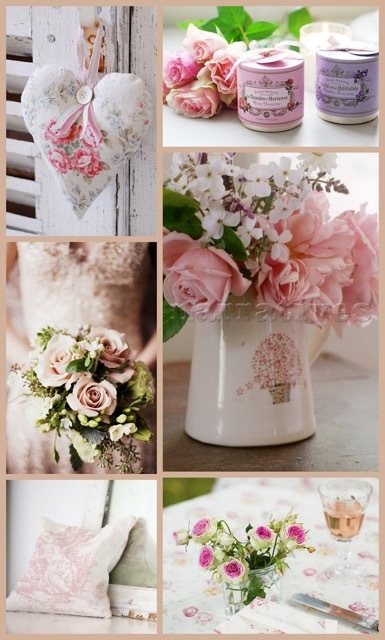 I was inspired by the top left photo with the heart and the woodgrain background. 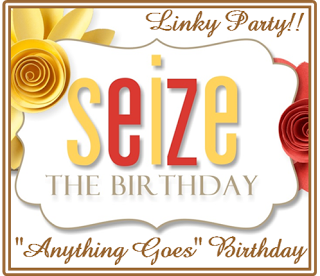 Enter the challenge by linking up your creation on the challenge post, using the Inlinkz link up located at the end of the post. 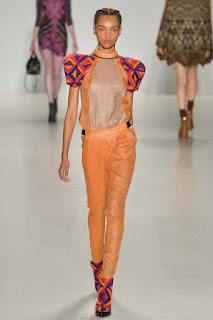 It has been a while since I have played along with Runway Inspired Challenge. I was drawn to the pattern on her shoulders and boots. I used the same colors. My very neglected stamp set Modern Beadwork got some use along with my MISTI. 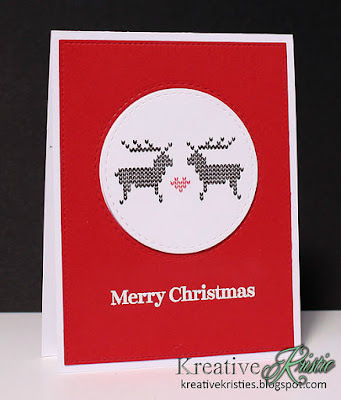 After stamping, I fussy cut around one half of the stamped images. 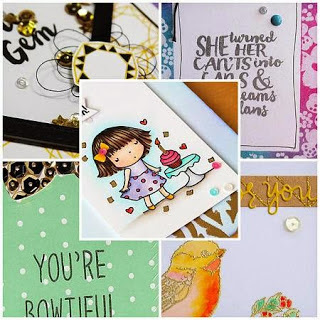 The sentiment is Bold Wishes by CAS-ual Fridays. 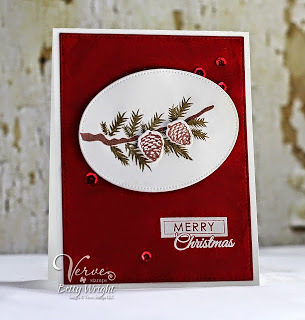 This week Debbie challenges us to create a Christmas card with a non-evergreen tree(s). I recently picked up this Mini scenery stamp by Winnie and Walter and knew right away I wanted to use it. 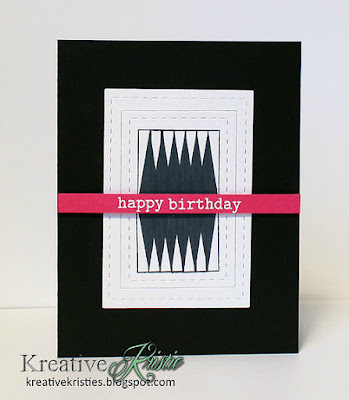 I have been playing with my new ombre ink pads and thought the grey to black would look perfect with this stamp. I LOVE how it turned out. I added the red bird and sentiment for a pop of color. Adding this to The Glory of Christmas Challenge: Bird(s) or anything goes as long as it's Christmas & Addicted to CAS: Birds.